The exam of JEE Main is conducted every year for the admission of the candidates to Government and the Private colleges around the country for pursuing B.Tech course. The exam of JEE Main will now be conducted by National Testing Agency (NTA) twice in a year. Every aspirant is very much aware of the fact that acquiring a seat in a renowned college assures a fine placement with the remarkable package. With competition increasing every year for this course, it becomes prominent for the candidate to master their preparation effectively where each and every topic is covered. The origin of the number of coaching institutes for the guidance of JEE Main exam can very much be seen but apart from the coaching centers number of other sources of guidance have also been introduced for JEE Main exam. 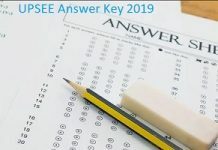 Download the JEE Main 2019 Admit Card before appearing for the examination. Youtube channels have provided a medium where candidates with problems in peculiar topics can get solution easily. There are channels exclusively providing guidance to the candidates for the exam along with the mock test exam and special sessions. Many coaching institutes as well as independent previous JEE Main aspirants have also made themselves approachable for the candidates appearing for the exam. Since the topics covered in the exam are wide, it becomes important for the candidates to sort out the subjects and topics which is important and will help in securing the maximum marks. The purpose of Youtube videos on JEE Main is to avoid aspirants from panicking and making sure that the solution is available to them the entire time. These videos often focus on the specific topics which aspirants find difficult. But with the help of the youtube videos the solution is with them even in the middle of the night. We have listed below number of youtube channels that the aspirants can find helpful in their JEE Main preparation. mLearning: The videos uploaded on this channel are both informative and easily understood for the aspirants who feel confused regarding the selection of the topics which are needed to be prepared for the exam. The lectures are specifically on the important topics which are to be covered for understanding and the better score. Physics, Chemistry, Biology and Mathematics are covered in the video uploaded by this channel. Exam Fear: Reserving its place in Limca Book of Records in 2017 for creating more than 5600 educational videos lessons, Exam Fear website has become a prominent platform for free quality educational videos. The website has a number of educational video lessons on Physics, Chemistry, Biology, Mathematics, JEE Main. The videos of this website are applauded for its clear and easier explanation of tricky concepts. Exam Fear was started in 2011 and now have almost 345k subscribers. Ajnish Gupta: The lectures on organic chemistry by Ajnish Gupta will help the aspirants clear out the doubts in the subject. The videos presented are clear and are explaining the topics very easily. The channel is dedicated to the JEE level organic chemistry. The total views on the videos goes for around 1,437,584. IIT JEE Master: The videos of IIT JEE Master are short and on the topics. The videos are covering all the topics from all the subjects and basically focus on the increase of the speed of the aspirant. They train students to be more articulated and strategic regarding their preparation for the exam. Candidates can find these videos to be extremely helpful at the time when the exam is approaching for the motivation and for the smarter approach that is necessary to appear for JEE main exam. Rao IIT Academy: The academy provides full fledged coaching classes to JEE main aspirants. The academy has also made available the videos of the lectures straight from the class room for the candidates who are not able to afford attending the lectures. The lectures mentioned in the video on variety of topics are clear enough for the candidates to understand and will be able to help them out in their queries.